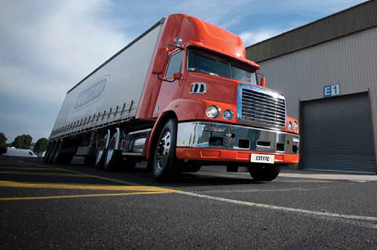 Freightliner's Century Class CST112 has been built to excel in demanding and ultra-competitive environments – from single trailer distribution, intrastate and short haul work to tipper applications. To prosper, you have to make a profit, and that is what the CST112 is all about. Its advanced DD13 engine is incredibly fuel efficient, its class-leading aerodynamics cut wind resistance to improve economy and its extremely low tare allows for larger payloads. If it costs less to run - there will be more money left for you. Designed to combine light weight with plenty of strength, Freightliner's aluminium cabs contribute significantly to the CST112's extremely low tare. 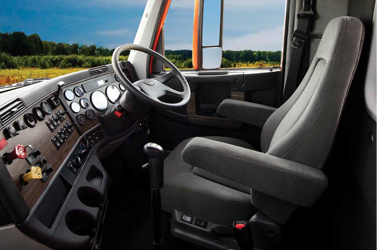 With a range of day cab and sleeper configurations available, the Century Class CST112 can be optimised for your needs – and your ultimate comfort. A choice of three cabins – a Day Cab and two mid-roof Sleepers (34" and 48") – provides owners with even greater flexibility and drivers with the comfort they deserve. 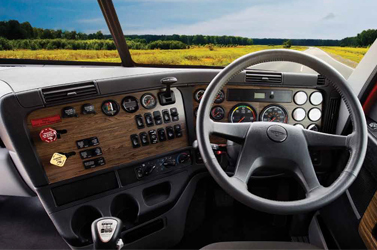 The Century Class CST112 boasts Spacious interior with enough headroom to stand and plenty of storage, insulated floor and walls to keep outside noise to a minimum, Sleeper cabs feature under-bunk storage and separate control panel and EzyRider(R) II air suspended seats and steering wheel are completely adjustable to ensure driver comfort at all times. 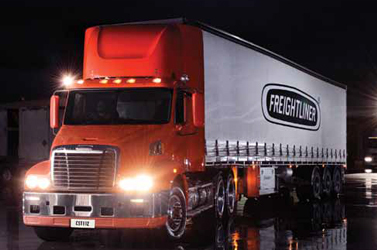 Freightliner has used its fullsized wind tunnel extensively to ensure the Century Class CST112 is setting the standard when it comes to aerodynamics. The reason couldn't be clearer. Less wind resistance means less fuel consumption which means you'll save money with every trip. An extremely 'slippery' cabin profile allows the CST112 and its load to better cut through the air, with key design features including its 16 degree sloped bonnet, concealed air intakes and exhausts, a windcheating mirror design and optional factory-installed fairings. 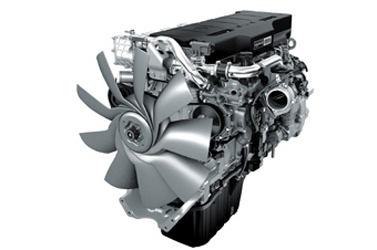 It's North America's most advanced diesel engine – the all new DD13. And it's a game changer. Like the Century Class itself, the DD13 is strides ahead of the competition. Producing 450 hp and 1,650 lb-ft of torque, the DD13 still manages to be incredibly fuel efficient thanks to the advanced technology of its amplified common rail fuel system and time-based cooling system which reduces fan 'on-time'. More than 100,000 hours of durability testing in Australia and North America have proved that what works in the lab also works on the road, with the DD13 consistently exceeding its tough fuel consumption goals. While the DD13 is certainly advanced it can't be accused of being delicate. The Century Class' bonnet opens to near 90-degrees so engine access couldn't be easier. Transparent fluid reservoirs allow instant checking and, because the cap stays on more often it helps to prevent fluid contamination when checking fluid levels. The CST112's standard 7" headlights can be easily serviced by drivers in a matter of minutes. A massive heater, ventilation and air-conditioning system delivers generous airflow throughout the cabin and comes with a standard pollen filter. Plenty of storage is on hand with two overhead lockable cabinets and large door pockets. Sleeper cabs also have storage beneath the bunk which can be accessed both internally and externally. A rigid door design with two door seals offer superior insulation and noise reduction. Highly-effective insulating material is also built into the cabin floor and walls. The 34" and 48" mid-roof sleeper cabins provide drivers with a pleasant living space. Behind the privacy curtain, drivers can relax properly with bedside lighting and air-conditioner controls, a fresh air vent, and a clothes hanger. There's also space for adding a refrigerator, television or premium stereo system. A Front Underrun Protection Device comes as standard.